Our feed truck drivers help feed the world! 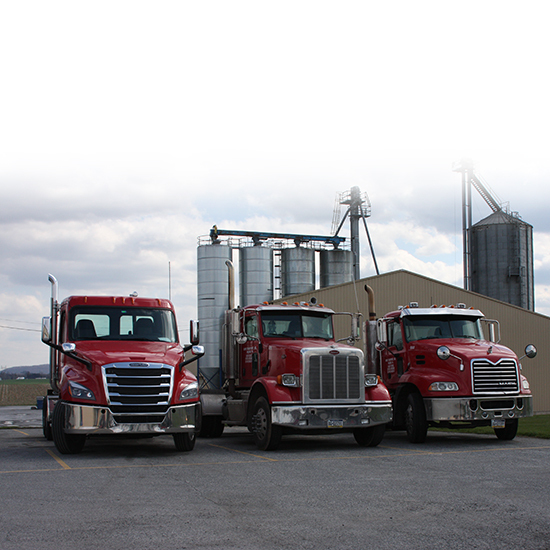 We serve the Mid-Atlantic region making local deliveries to poultry and swine farms. Our customers provide pork, poultry, and egg products to nearly 25% of the United States population. We employ over 100 full time and part-time drivers. You won’t be alone on your shift. 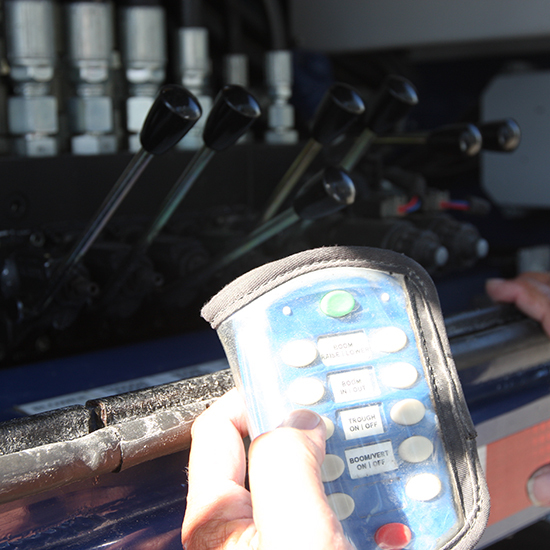 We have a team of driver supervisors that help support you throughout your shift. 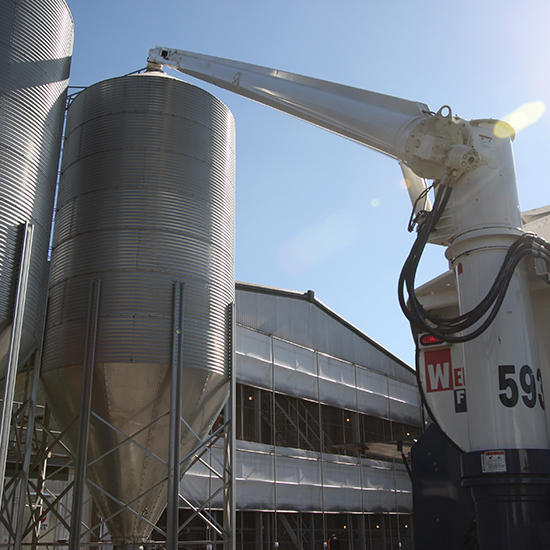 A feed driver’s shift begins by loading the truck. 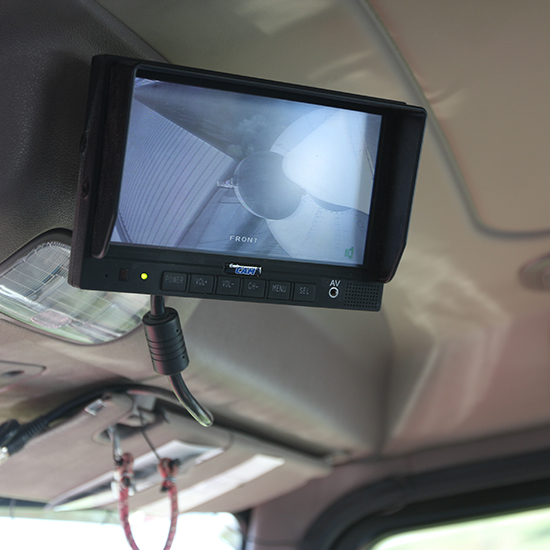 Our feed drivers work with safe, modern, and clean equipment, make local deliveries, and are home every day. Drivers load 3 to 3.5 tons of bulk feed into each compartment of the trailer and deliver the feed to poultry and swine farms within a 1 to 250 mile radius of their home mill. 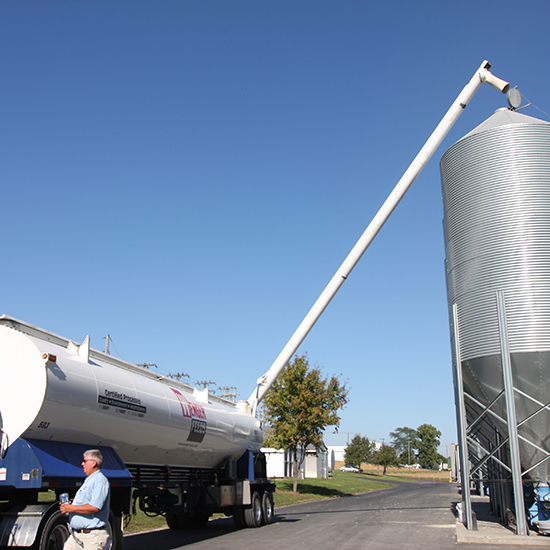 At the farm, drivers back the truck up to the feed bin and unload feed using an overhead auger. Some trucks are also equipped to blow feed into the bin. Loads average in size from 19 to 30 tons depending on the type of feed and the type of truck used. Our night driving team has a regular schedule beginning from 4 to 7 p.m. and working up to 12 hour shifts. Our drivers average 50 to 55 hours a week. Working schedules include weekend shifts and hours while accommodating flexible scheduling with advance notice. All drivers have a regular schedule, which allows them to be home daily. 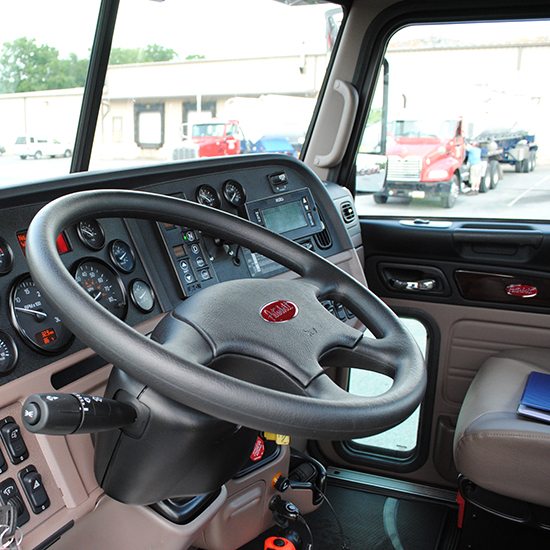 In addition, the work environment for a night shift driver is ideal for someone who enjoys working independently. Given the hours of the shifts, night shift drivers also have the advantage of encountering less traffic during their shift. Our training program is both collaborative and comprehensive, and we believe it is one of the best in the industry. After your training, your compensation will be performance-based and is competitive within the industry. 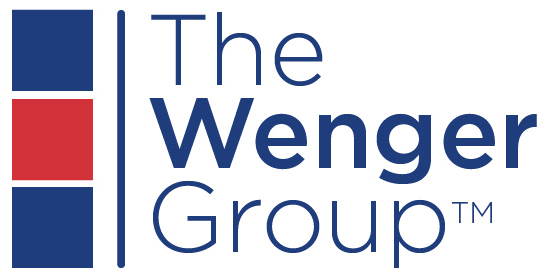 In addition, Wenger’s offers a shift differential for night shift drivers along with additional pay for working on weekends. Like all team members, night shift drivers have the opportunity to grow with the company and interview for and transfer to other openings throughout the company. Feed delivery trucks are owned and serviced by WFM Transport and are replaced with frequency. All equipment is well-maintained, comfortable, modern, and safe. The average feed truck is approximately 3.5 years old. All trucks contain air conditioning, radios, and CD players. The company owns tractors produced by Mack, Peterbuilt, Kenworth, and International. Recent new tractors purchased have been produced by Mack and Freightliner. The company uses Walinga trailers almost exclusively. WFM Transport drivers are assigned to a tractor and trailer and every effort is made to allow them to operate the same equipment on every shift. The company owns six mills in Pennsylvania and operates a mill in Massey, Maryland. Our feed division makes deliveries within a relatively short drive of our seven locations. The average delivery is 35 miles one way and can be completed in an average of two hours. Drivers will make an average of three to five deliveries per shift. Descriptions of schedule and equipment is for demonstration purposes only. Open positions are posted on our career page. Questions? Call 1-800-692-6008 or e-mail using our contact page.